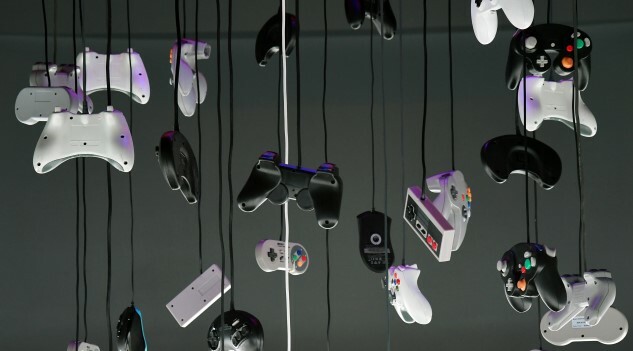 Videogame “console wars” have been a staple of several different generations and decades, but never did the stakes feel quite so high and quite so passionate as they did in the 1990s. It was the era when Nintendo’s shockingly successful Famicon/Nintendo Entertainment System was fading into obsolescence, leaving two companies scrambling to declare themselves the victor of the new generation: Sega (with its Genesis) and Nintendo (with it’s Super Nintendo, or SNES). Whether it was touting color/sound capabilities or the mythic power of “blast processing,” the two companies spared no expense when it came to going at each other’s throats. And now that drama finds its way into an upcoming TV series, Console Wars. Announced by Legendary Entertainment, the studio behind the “MonsterVerse” and upcoming films like Godzilla: King of the Monsters, the TV series is an adaptation from the Blake J. Harris nonfiction book Console Wars: Sega, Nintendo and the Battle that Defined a Generation. Every kid who grew up in the ‘90s knows exactly what that title is implying: Many households could afford only one console, which led to kids making the difficult choice between either SNES or Genesis. Take those purchasing decisions to the schoolyard, and arguments about which system was superior were a daily occurrence. The book focuses on the behind-the-scene drama that occurred while Sega attempted to take on Nintendo throughout the 1990s. It follows Sega of America CEO Tom Kalinske as the infamous war between the two industry giants progressed, and includes stories of internal conflicts between Sega’s American and Japanese branches. The book used various interviews with notable people involved in these events to create its plot. Vogt-Roberts interesting has another connection to videogames at the moment, as he’s also behind the secretive Metal Gear Solid film adaptation. As for Console Wars, we don’t really know much else besides the fact that it’s being developed—there’s no indication of what TV or streaming network might be targeted as the show’s destination. Hell, we don’t even know if the series will take the form of a scripted drama or some kind of pseudo-documentary, but we’ll bring that news to you once it breaks.